Campers are invited to join us for a fun-filled week packed with traditional summer camp games, songs, and a heavy dose of outdoor adventure. Camps take place in Seattle, Tacoma, and Bremerton. Join us for a week of adventure! We offer week-long day camps from June 24 to August 23 at the Seattle Program Center. Each week consists of rock climbing, outdoor skills, swimming, games, crafts, and camp games. Additionally, every week has a field trip and/or outdoor adventures relating to the given theme. Day camps are designed for campers ages 6-12. 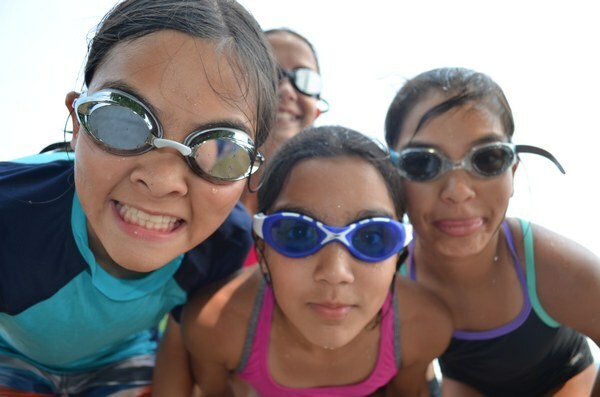 Come join us for adventure-filled sleep-away camps! We will be exploring Mt. Rainier and Mt. Baker with campers ages 10-14. 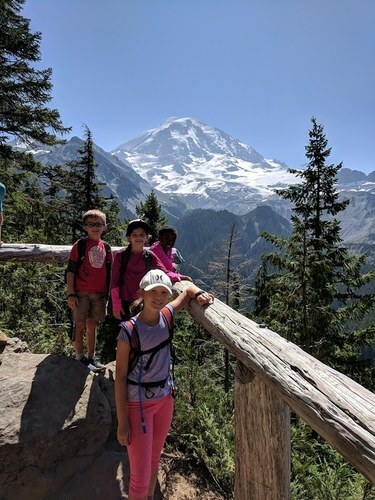 Mount Rainier: adventurous youth are invited on a 2-night camp out at Cougar Rock campground in Mt. Rainier National Park from July 1-3. We will have nightly campfires, go hiking around Rainier, and practice outdoor skills. Food and transportation are provided. Mt. Rainier - Irish Cabin Property - Spots still available! Youth age 8-13 join us the week of July 15-19 at our property just outside the Carbon River Entrance to Mt. Rainier. This week includes one day at our Tacoma Program Center, getting to know each other and learning skills. 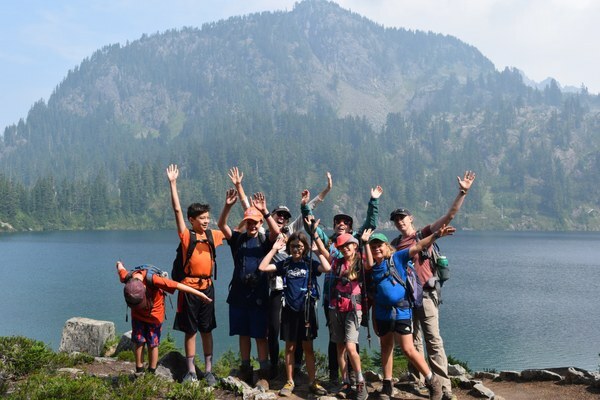 Tuesday, we head out for camp, and spend the days hiking in the beautiful Mowich Lake area, swimming in the Carbon River, and having fun around the campfire! Mt. Rainier - Irish Cabin Property 2 - Spots still available!- July 29-Aug 2. Same as above, but with a full 5 days/4 nights of overnight camp experience! Pick-up and drop-off at the Tacoma Mountaineers Program Center. 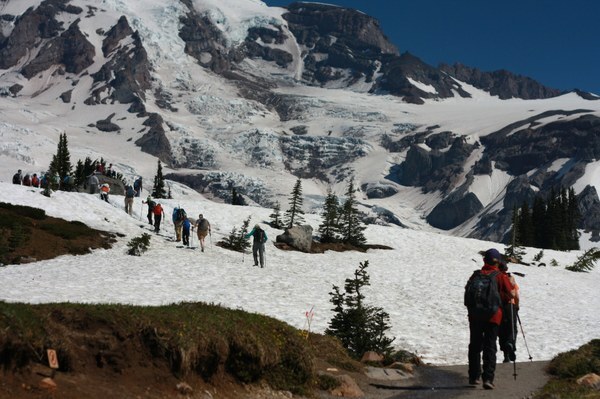 Mount Baker: campers will stay at the Mountaineers' Mt. Baker Lodge for the week of August 19-23. This camp is designed for the hike-loving kiddos and features the gorgeous trails of the Mt. Baker region, such as well-known Chain Lakes Loop. Food and transportation are provided. Join us for a week (or four) of fun! This year we are offering two weeks of day camp, and two weeks of overnight camp at our property near Mt. Rainier. Our day camps are based out of the Tacoma Program Center in Old Town Tacoma for campers ages 6-13. Each week has a special outdoor theme, and includes outdoor survival skills, climbing, hiking, games, beach time, and more. Our Mt. Rainier overnight camps are based out of our property just outside the Carbon River entrance to Mt. Rainier National Park! We will spend the week hiking, swimming, exploring the Carbon River, cooking group meals and enjoying the campfire! Rainier Camp is for kids 8-13. Rainier Week 1 includes 3 overnights, and Rainier Week 2 includes 4 nights. Day camps run from 8:30am - 4:30pm. Registration opens February 15 at 9am! July 29-Aug 2 Cabin Fever Week: This special new week for kids ages 8-13. It includes 2 nights of overnight camping at 3-Volcanoes Cabin near Packwood. We'll be spending our days hiking near Mt Rainier, Mt Adams, and Mt St Helens and our evenings around the campfire enjoying songs, games, and hearty meals! 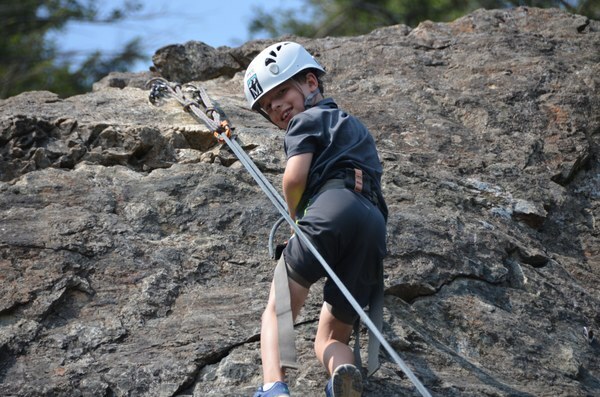 August 5-9 Wilderness Adventure Camp: For ages 6-10, this is an exciting week filled with load of outdoor games and activities as well as outdoor skills development. Some of these include climbing, hiking, map and compass training, camp cooking, wilderness first aid, fire and shelter building, and so much more! Camp is Monday - Friday from 9:00-4:00. The camp takes place on the beautiful Kitsap Property just beyond the Bremerton Ferry station. Campers ages 5-9 are welcome! There is a transportation option that includes ferry transport from Seattle for those interested in participating who do not live on the peninsula. Camp runs from 9:30 - 3:00, but if you are taking the transportation option, drop off is at 8 and pick up at 4.